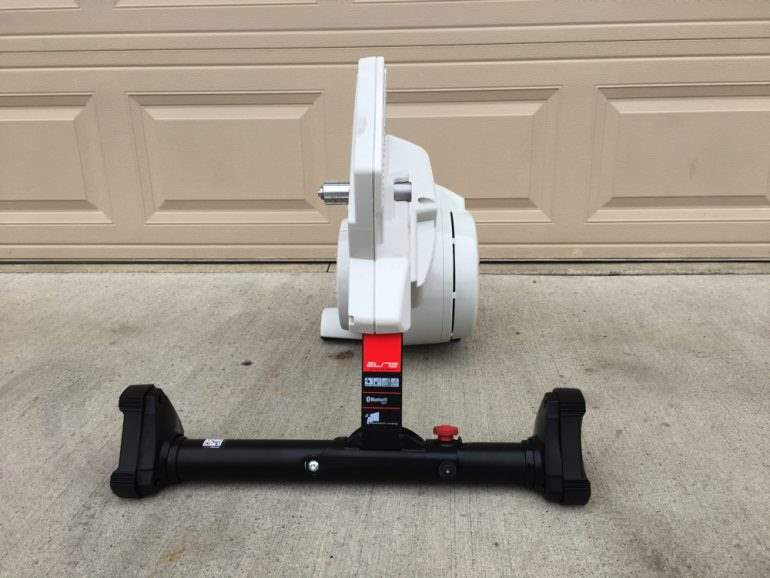 With so many smart trainer options this year, the Elite wanted to enter or I should say re-enter the smart trainer market and place its top of the line direct drive trainer in a category of its own to differentiate it from other popular trainers such as the KICKR. 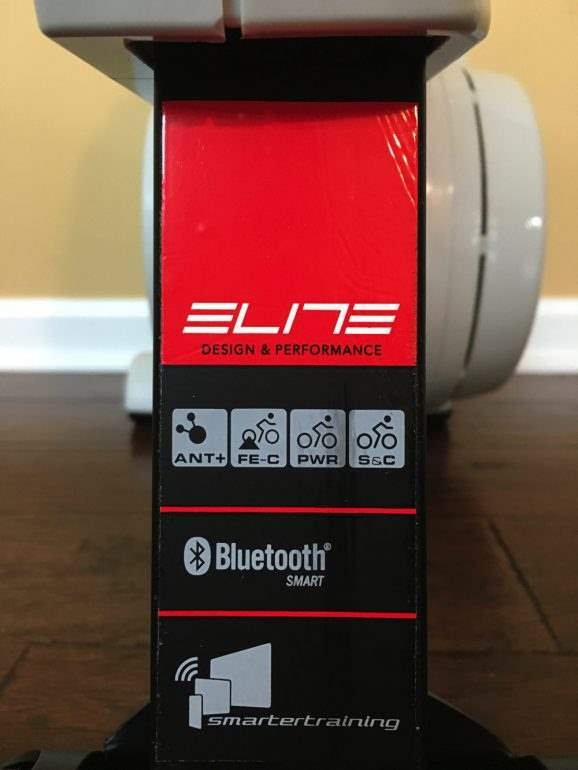 Elite introduced the Drivo indoor direct drive smart trainer this summer. Their main selling point was its extreme +/- 1% power accuracy. 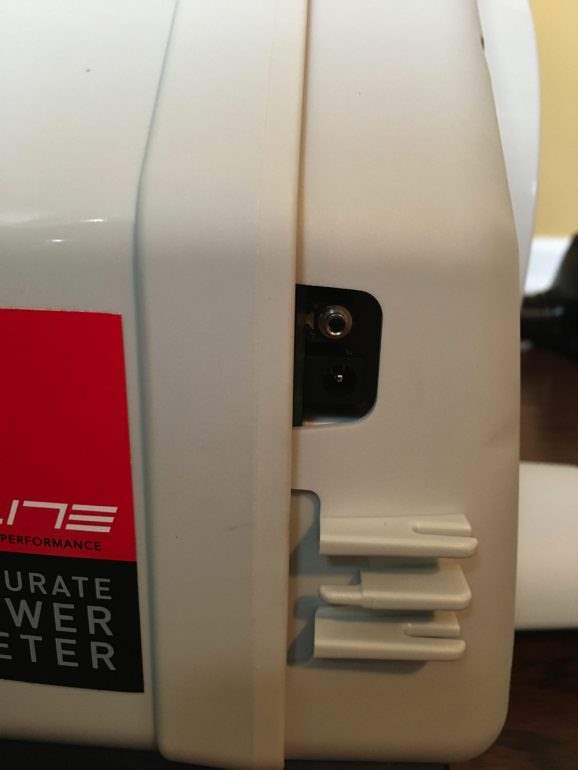 The Elite actually comes with a built-in power meter featuring a 24 point power measuring system. The integrated power measurement system determines the watts from each pedal stroke as “precisely as scientific measuring devices” per Elite. I’ve had a chance to get one and try it out for the past few weeks. Overall, I like many things about the trainer. However, there is a “but” and will talk about that in some details below. Price: The Elite DRIVO is priced at $1,300. It comes with a USB ANT+ stick, lifetime subscription to the Elite E-Training cycling app, and one free month of Zwift. However, it doesn’t come with a cassette (most trainers don’t) and doesn’t come with a skewer, so you will need to provide your own trainer skewer. You can get one for around $10 at Amazon. Design: The Elite DRIVO looks somewhat solid. It’s a heavy trainer and took a lot of beating during my tests. However, I have my issues with its plastic case and will go into more details about this later. Compatibility: The Elite DRIVO is compatible with 9-11 speeds cassettes and spacers for 10 and 9 speed are included. It fits all Shimano and SRAM cassettes, and most Campagnolo cassettes. Connections: The Elite DRIVO is Bluetooth Smart, ANT+ FE-C compatible. 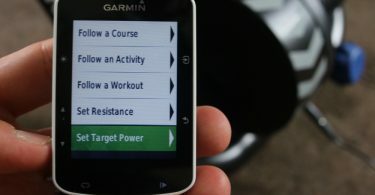 It works with Zwift, TrainerRoad, The Sufferfest, Garmin Edge bike computer, Garmin Forerunners, and any other device that is Bluetooth or ANT+ compatible. Noise Level: The trainer is quiet. I would place it between the Tacx NEO and the Wahoo KICKR 2. In my test, descending at 50+ mph, noise level peaked at 56 decibels while pedaling at 20mph, noise level peaked at 54 decibels. Road Feel: The Elite DRIVO comes with a 6kg flywheel and pedaling felt very smooth. One of the smoothest of all smart trainers I’ve tested. Accuracy: I had issues with the trainer at first. Not sure what it was but power accuracy was off by up to 20 watts. However, mid way through a 90 min ride on Zwift, suddenly the power became stable and almost matched my power meter. Initial Setup: For whatever reason, unpacking and getting this trainer ready wasn’t as easy as other trainers. Additional miscellaneous parts and the manual wasn’t as easy to read as others. 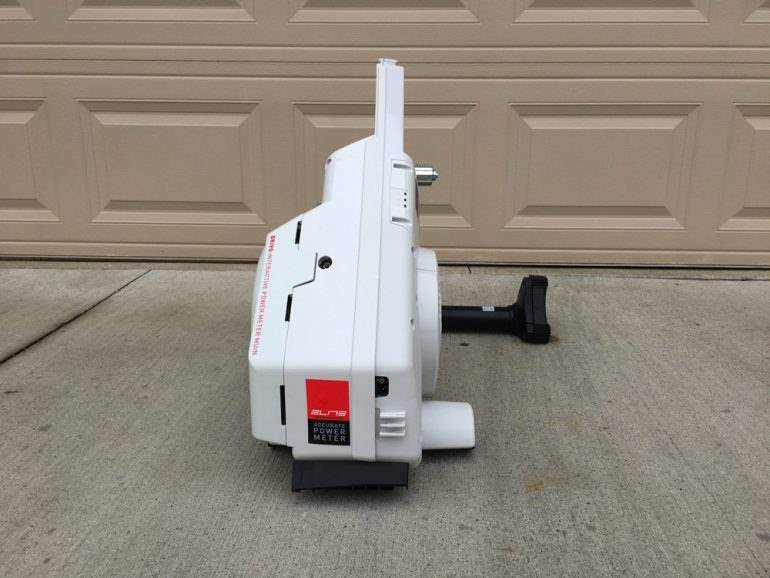 Actually, I didn’t even read the manual for the KICKR and Tacx NEO. Elite can do a better job in this area. 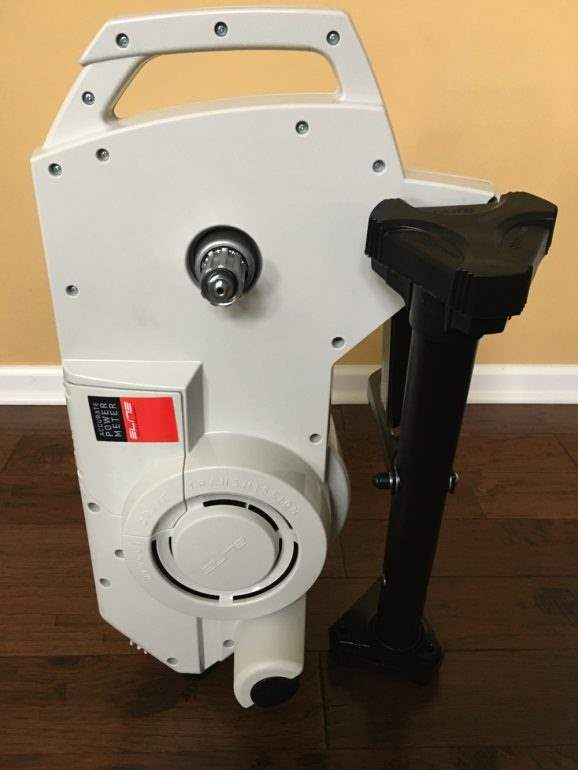 Ease of Use: This is a direct drive trainer. Once the trainer is setup and cassette is installed, then all you need to do is remove the rear wheel and affix your bike to the trainer, pair it with your software and pedal. The DRIVO comes in a large and heavy box just like all other smart trainers. Bunch of little cassette thingys that took me a while to figure out what they were for and how to install. Spacers for 9 and 10-speed cassettes. Cadence sensor that you don’t really need now but rumors out there that Elite is developing pedal analysis and should be available through a firmware update in the near future. Two Elite DVDs and chamois cream. It would’ve been nice to include a cassette skewer though. Not sure how they missed that so I had to go and find one. Assembling the trainer took longer than it should have. In all honesty, I am not a fan of reading manuals and feel like the company somewhat failed in their packaging if a customer has to open the manual to figure out how to assemble their product. That’s my own little pet peeve and might not be a big issue for most customers. 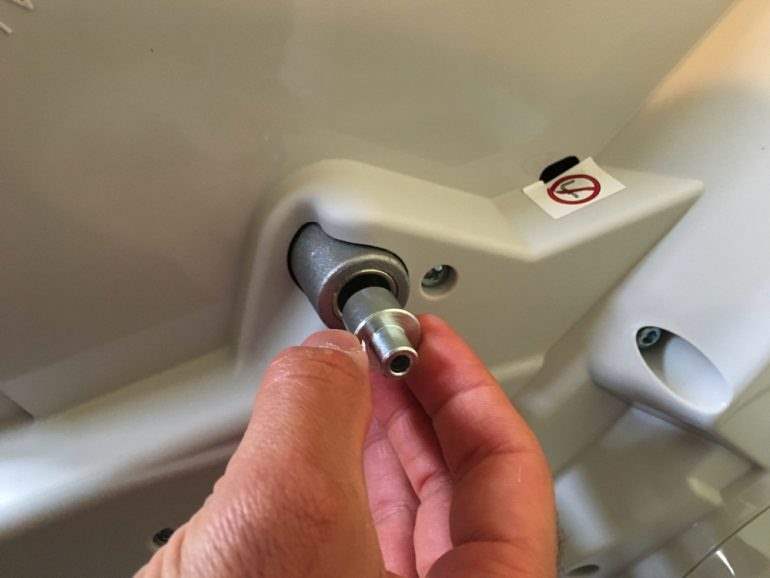 Once you install that and the cassette, then you are ready to affix your bike onto the trainer. Connect to a power supply, and you are ready to go. 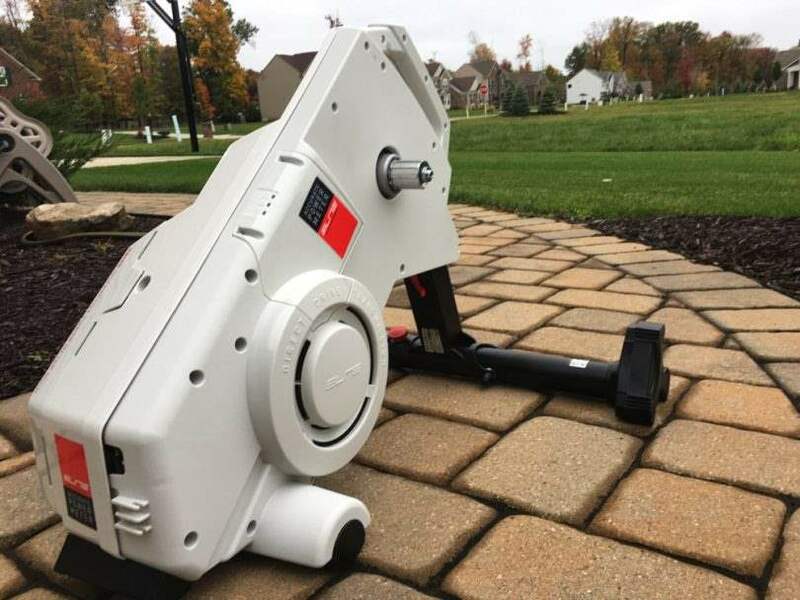 Unlike the Tacx NEO, the Elite DRIVO doesn’t work without electricity. 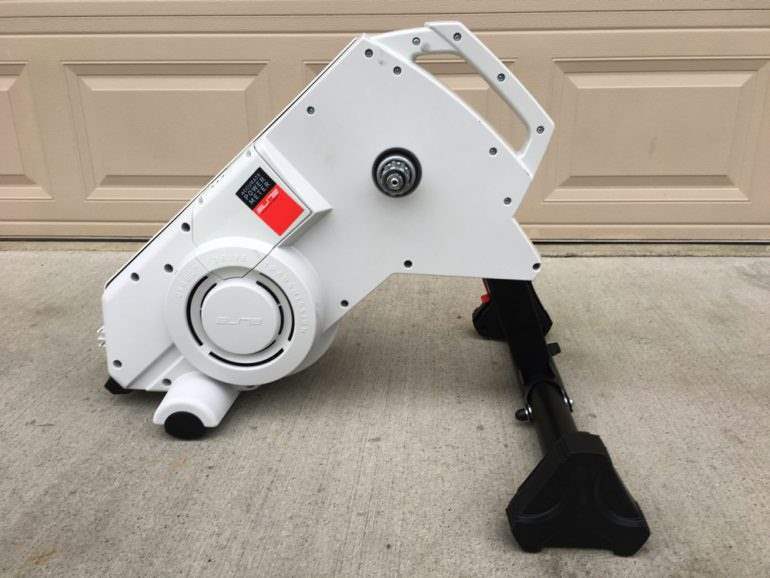 It will work as a fluid trainer, but it will not provide you with any metrics unless you connect it to a power source. The DRIVO will give you power, speed, and cadence. You don’t need the cadence sensors for that. 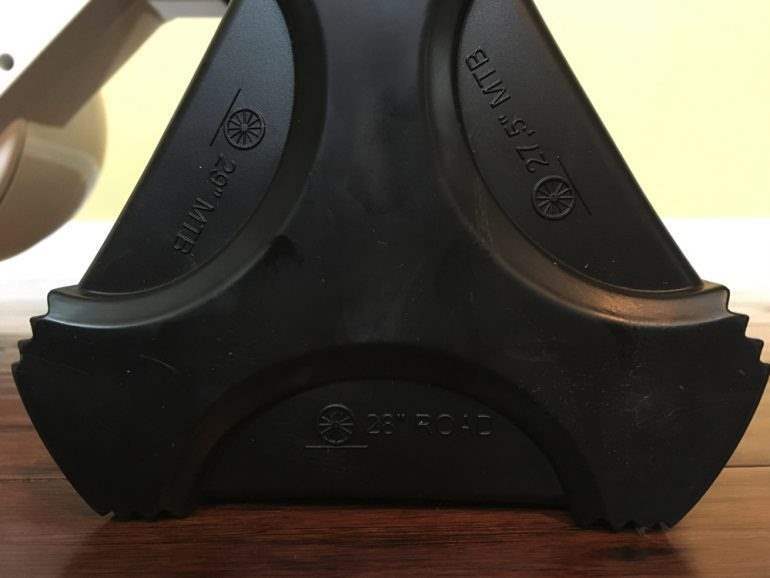 Elite provides two plastic attachments to use and adjust the trainer height. The three levels are for a road bike 26″, MTB 27.5″, and MTB 29″. Makes adjusting the trainer a no brainer. The firmware on the Elite DRIVO can be updated wirelessly via your app. So I went to the app store to look for the app and trying to search for Elite or Elite trainer didn’t provide me with an obvious choice. The Elite website or the manual doesn’t even give you a link to the app. So after doing some research, I finally found the app and it’s called “myETraining”, very obvious, right? But now you have it. It’s available in Apple App Store, and Android Google Play. Once you download the app, you can scan the QR code on the trainer and it will find it for you. Or you can just search for it manually in the Trainer List section. If you go to the Advanced Configuration, you will see you will have the latest version 3.1 and no firmware update is required. 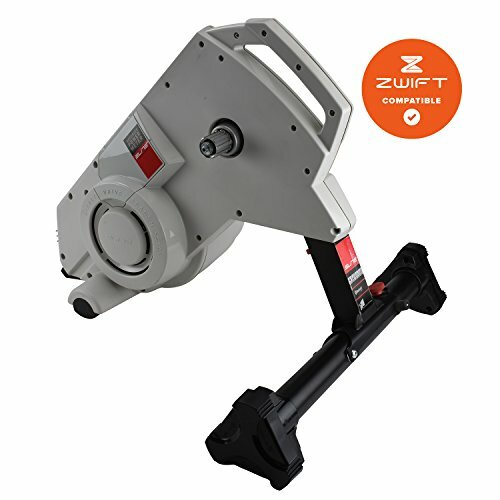 I tried the trainer on Zwift and Trainer Road and connecting to both was very easy. Just like any other smart bike trainer, you will need to use ANT+ FE-C protocol to allow third party apps to control the trainer. 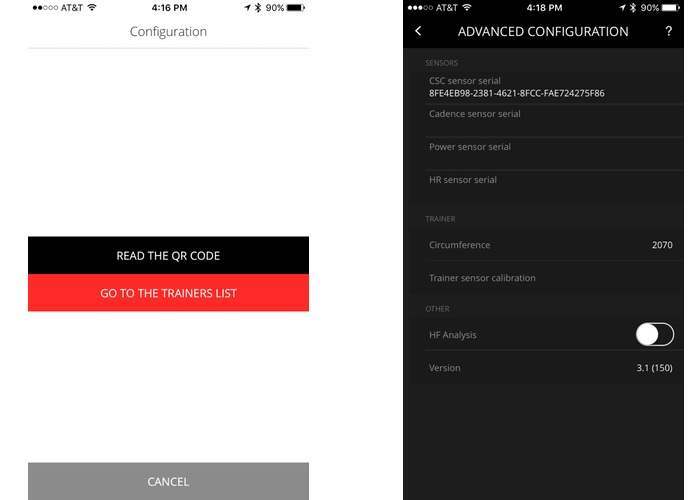 For example, if you use TrainerRoad on the iPad and connect via Bluetooth, Elite DRIVO will send power, speed, and cadence data but you won’t be able to use the ERG mode. You will only be able to use it if you connect via ANT+ FE-C. The reason most apps don’t support ERG mode over Bluetooth is that, unlike ANT+, there’s currently no industry-wide standard for controlling smart trainers with Bluetooth. That means app developers would have to start from scratch to support each new device. The exception to that usually is the Wahoo KICKR. The KICKR was the first smart trainer on the market and came out much before ANT+ FE-C. Due to its popularity and the fact that no other trainer existed at the time, most app developers implemented custom code for the KICKR to work over Bluetooth. 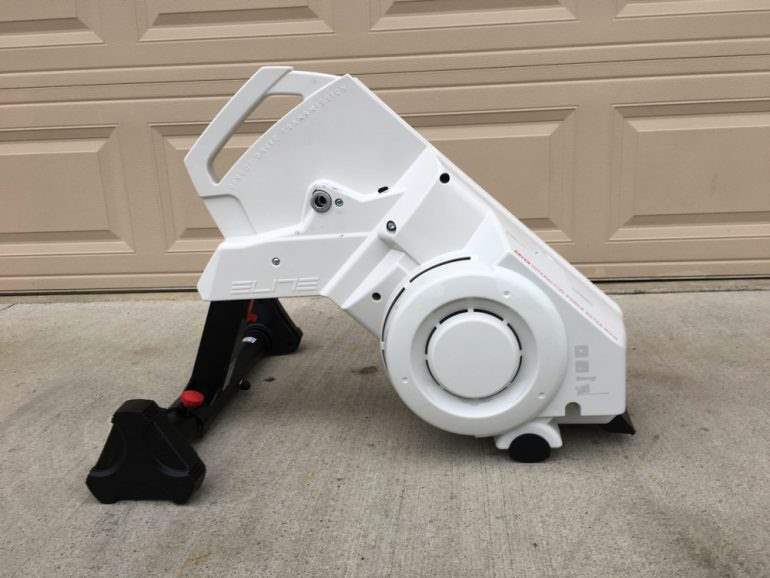 The Elite DRIVO comes with a 6kg flywheel and offers very smooth pedaling that is probably one of the smoothest I’ve tested. The trainer responded really well in changes to gradient in Zwift and ERG mode in TrainerRoad. As far as power accuracy and Elite’s claim to having the most accurate power. I tried the trainer first with Trainer Road and power was off by around 20 watts when comparing to my power meter. Not exactly sure the cause of that and felt a little disappointed at first. 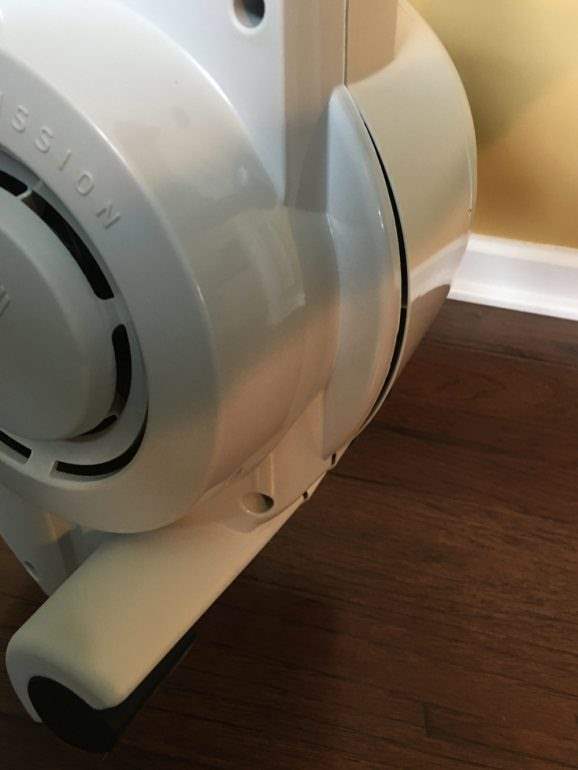 Later during a Zwift ride, the trainer again started showing low power and was off by about 10-20 watts. However, around the 30 minutes mark, suddenly power became a lot more stable and almost matched my power meter. Since then, average power for my rides was off my 3 to 6 watts which is just as good as the Tacx NEO. You can see in the below chart how the power was off at the beginning of the ride and later became more stable and almost matched my power meter. The trainer is enclosed in a plastic case which is fine. It felt sturdy and heavy. 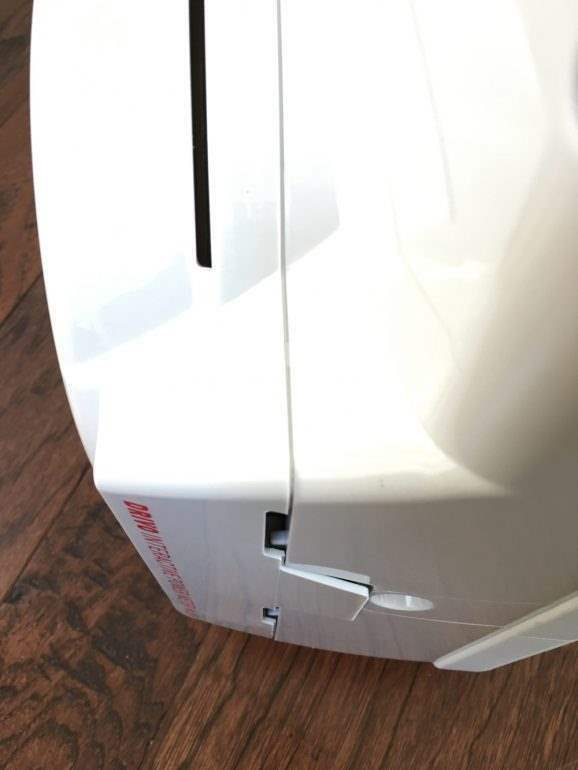 However, the plastic in some areas wasn’t flushed and smooth like you see in the photos below. Not sure how Elite can ship a high-end trainer that cost $1,300 with such imprecision in product design. Now, according to some other reports and reviews, Elite had these imperfections in some of the earlier batches. However, this unit I received was one of the newer ones so not sure what’s going on here. Other than that, the Elite DRIVO is a reliable trainer, and I really enjoyed using it. It’s a quiet trainer, quieter than the KICKR 2 but not as quiet as the Tacx NEO. It responded to changes very well and probably offered the best pedal smoothness than any other trainer. If you can find one without these imperfections in the design, then I would highly recommend this trainer. i had the same issues with the power accuracy. out of the box it was reading 20 watts to high. after riding about 60 minutes i did an calibration and the power is still a bit higher than my power meter but reasonable close. however, the drivo needs about 20 minutes of warm up to match my power meter data on every ride. but i also learned at my power2max power meters are also not flawless and that calibrations sometimes shift the power by 4 watts or so, which is within the accuracy limits but was still quite surprising. The Drivo doesn’t require calibration and the app didn’t have that option for the Drivo. However, it does have the calibration option for other trainers like the Direto for example. 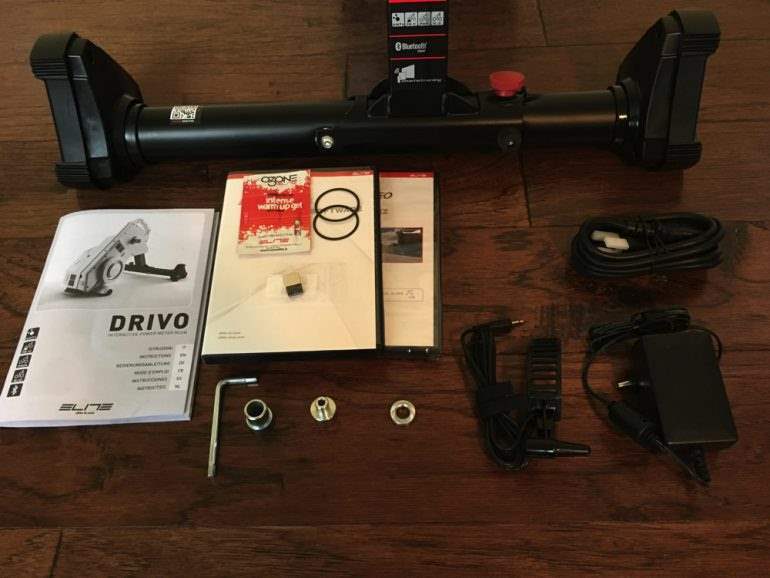 I did spend a good amount of time on the Elite Drivo and I did find it accurate in all my tests and I did give it a high rating for accuracy in my review. 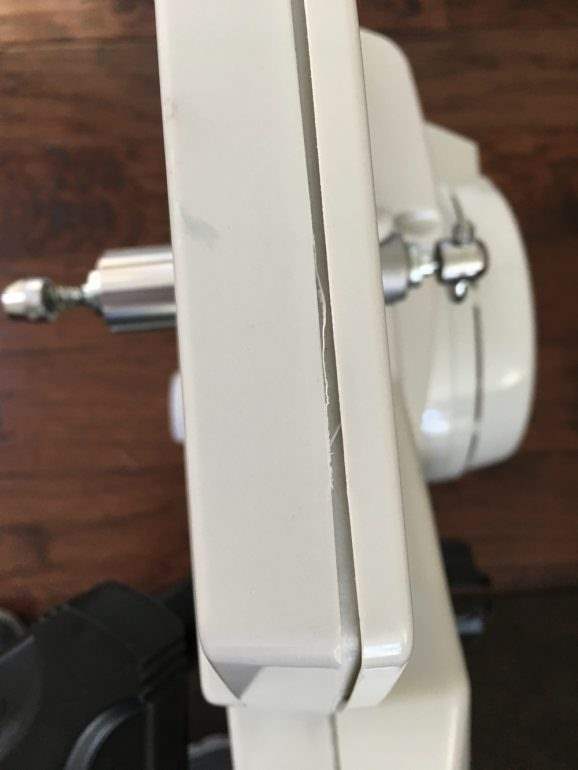 I probably did sound a little negative in some part of the review and that was probably due to how the unit I received looked and it felt like it was rushed out of the factory. But like I mentioned in the review, those design issues seemed to be more with earlier models and that is no longer the case.